HAS GOD ever whispered to you? ESI is a Christian organization dedicated to changing the nation of Ghana, West Africa, one village at a time. The goal of ESI is to educate the next generation intellectually and spiritually. Our desire is to be the hands and feet of Christ as we go to serve others and spread the gospel. Staff Update – Meet our New Teachers! Staff Update: Meet our new certified teachers! Mary lives in the rural area of Mamakrom with her father, Dadd Desire and mother, Akosua along with her five siblings. When Mary grows up, she wishes to become a hair dresser. With your love and support, Mary can make these dreams a reality. Prince lives in the rural area of Mamakrom with his two sisters, two brothers, and parents. 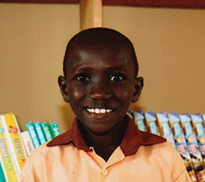 He is in the 4th grade at the school of Mamakrom where he enjoys math. When Prince grows up, he wishes to become a soldier. With your love and support, Prince can make these dreams a reality. 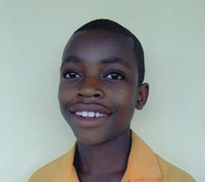 Gideon lives in the rural area of Mamakrom with his mother, Gladys and his father, Eric along with three siblings. He is in the 6th grade at the school of Mamakrom where he enjoys science. When Gideon grows up, he wishes to become a pilot. 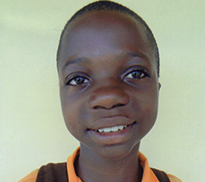 With your love and support, Gideon can make these dreams a reality. 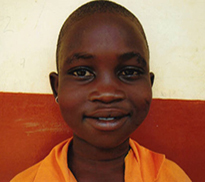 Sophia lives in the rural area of Mamakrom with her mother, father, and four siblings. She is in the 3rd grade at the school of Mamakrom where she enjoys mathematics. When Sophia grows up, she wishes to become a doctor. With your love and support, Sophia can make these dreams a reality.